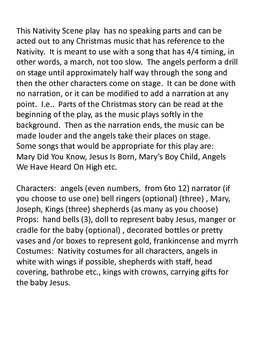 Here is a Christmas Nativity play that has no speaking parts and includes a marching drill for the angels to perform, before the nativity unfolds at centre stage. The music used in this play can be your choice, as long as it has a marching beat. 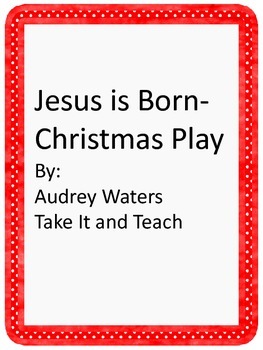 Narration using the Christmas story is optional.